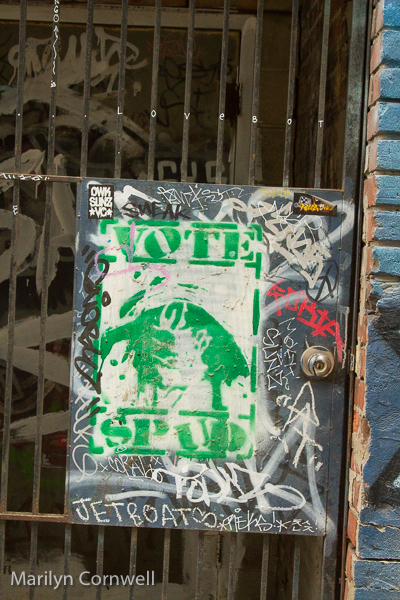 In 2012 the Toronto election had a candidate and this was covered in a blog with the headline "Legalize potatoes, vote Spud 4 Mayor October 27 2014. This is a quote from SPUD, now known as SPUD1. “I’m a product of my environment. I am what I was supposed to become.” Spud1 didn’t start painting to become famous. “I did it to mark my territory.” He began his street art career by painting an emblem or symbol. It was to mark what he was doing or where he was going. Even before the territorial tags, Spud1 began developing his skill in his youth by painting detailed figures. Now, years later you can purchase your own Spud1 toy. This September, while at 5 Pointz in New York, he launched his own toy line. Spud1 makes the toys himself from start to finish, including the making of the mould, pouring, stenciling, painting, and custom box design." Here is the instagram page with his work photographed by others and this is his own fascinating instagram page with all his projects and commissions, as well as graffiti, at spud1 OTM. 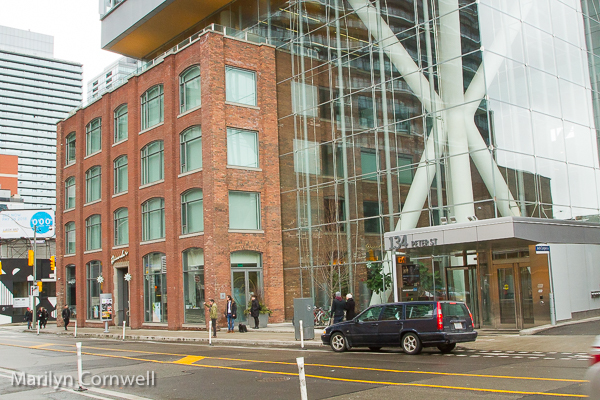 Our other photos are along Peter and Adelaide - the building that stood in the middle of Peter Street for over a year is now repositioned with its monster condo above it. It has a a wonderful interior with the old building integrated with the new. 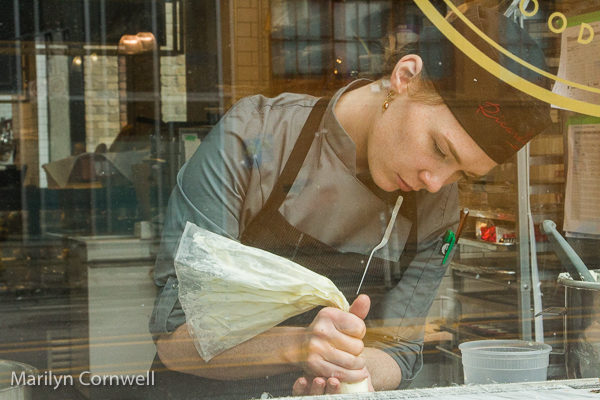 The restaurant has a large pastry section and the pastry chef is seen working in the Peter Street window.